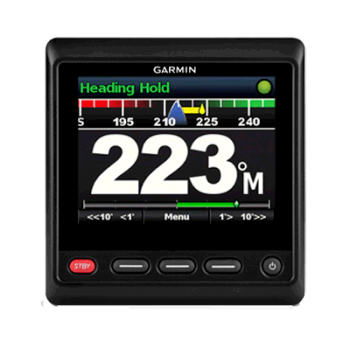 With its solid-state 9-axis Attitude Heading Reference System (AHRS), the GHP Reactor™ autopilot series holds your course even when your boat is pitching and rolling in rough water. 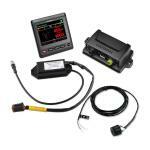 Offers flexible installation options and requires a minimum amount of commissioning and calibration. The result is that everyone onboard enjoys a comfortable ride while heading error, course deviation, rudder movement and power consumption are minimized. See which autopilot is right for you. 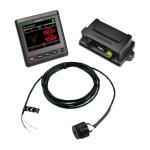 Ideal Entry-level Autopilot System Includes Compact Reactor 40 CCU, ECU, pump and other autopilot.. 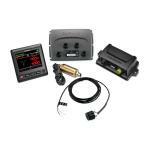 Ideal Entry-level Autopilot System Includes Compact Reactor 40 starter pack and GHC 20 marine aut.. 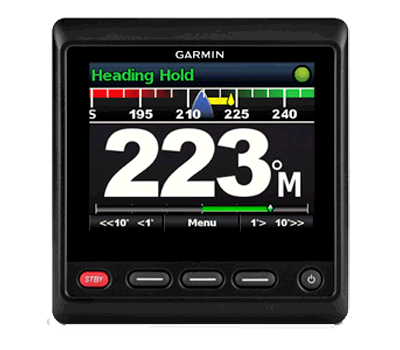 Ideal Entry-level Autopilot System Includes Compact Reactor 40 starter pack, GHC 20 marine autopi..
Our Most Responsive Autopilot System on the Water Solid-state 9-axis Attitude Heading Reference S.. 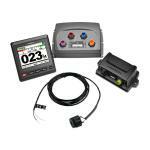 This wireless black marine remote places functionality of your GHC autopilot controller into the p.. 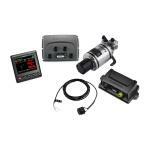 The Class A Drive Unit works with the GHP 12 Marine Autopilot System to control your sailboat's st.. 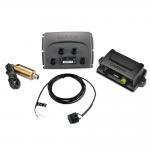 The Class B Compact Drive Unit works with the marine autopilot system to control your sailboat's s.. Reactor 40 Autopilot, Hydraulic, without GHC control head, MFG# 010-00705-21, Core Pack with Reactor..
Reactor40 Autopilot without CHS control head, Hydraulic w/Smartpump Corepack, MFG# 010-00705-68, wit.. 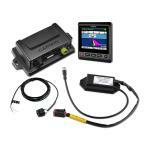 The Class B Drive Unit works with the GHP 12 Marine Autopilot System to control your sailboat's st..